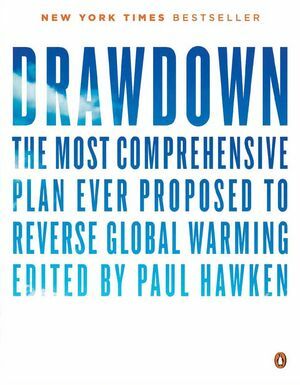 In the months of March and April we will be reading and discussing Drawdown: The most comprehensive plan ever proposed to reverse global warming, and participating in the Drawdown EcoChallenge. This project provides an opportunity to come together in conversation around science-based solutions that can help individuals take purposeful action, by prioritizing discussions around the 100 most impactful solutions for slowing down climate change. In our first meeting, get the information necessary to participate in the Drawdown EcoChallenge a 21 day project that incentivizes making small changes in our own lives. Throughout April we will be hosting a number of guest speakers and events focused on climate change and carbon reduction. On April 30th we will have our concluding meeting, to discuss our experiences. Copies of the book are available at the library checkout desk.